What a beautiful Saturday for an Oyster Roast! 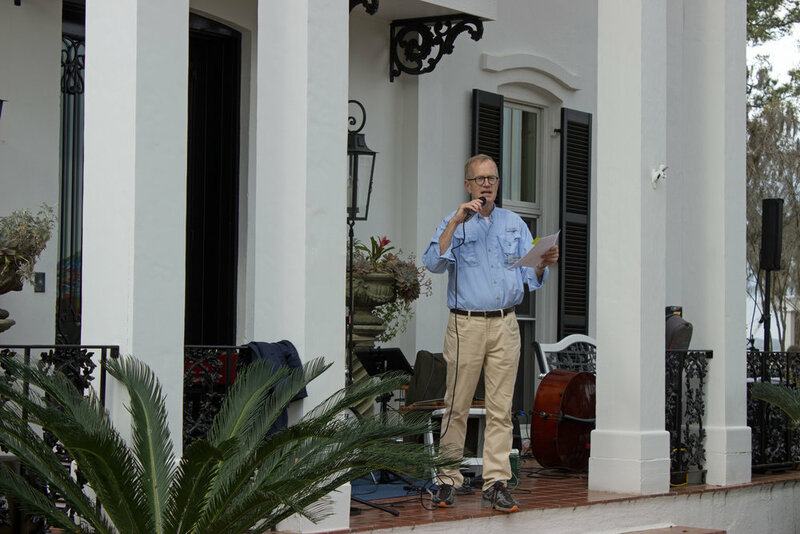 The Georgia Conservancy is grateful for your support and would like to thank each and every one of you for joining us in Savannah for our annual Oyster Roast! 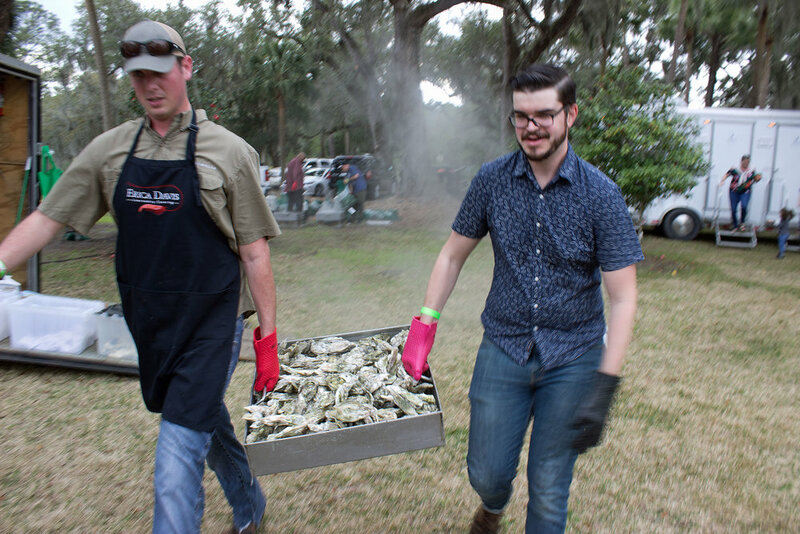 More than 400 Oyster Roast guests devoured 40 bushels of delicious oysters and 20 bags of succulent clams from Sapelo Sea Farms, all prepared by the wonderful folks at Erica Russo Davis Catering. 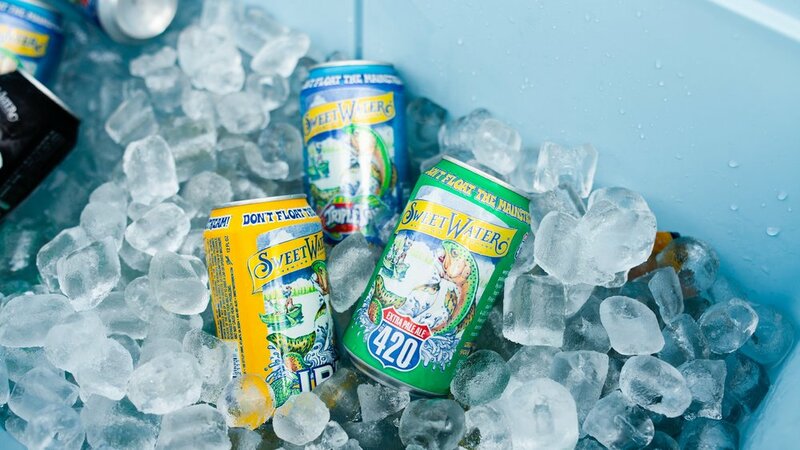 And when we needed something cold with which to wash it all down, our friends at Sweetwater Brewing had us all covered! 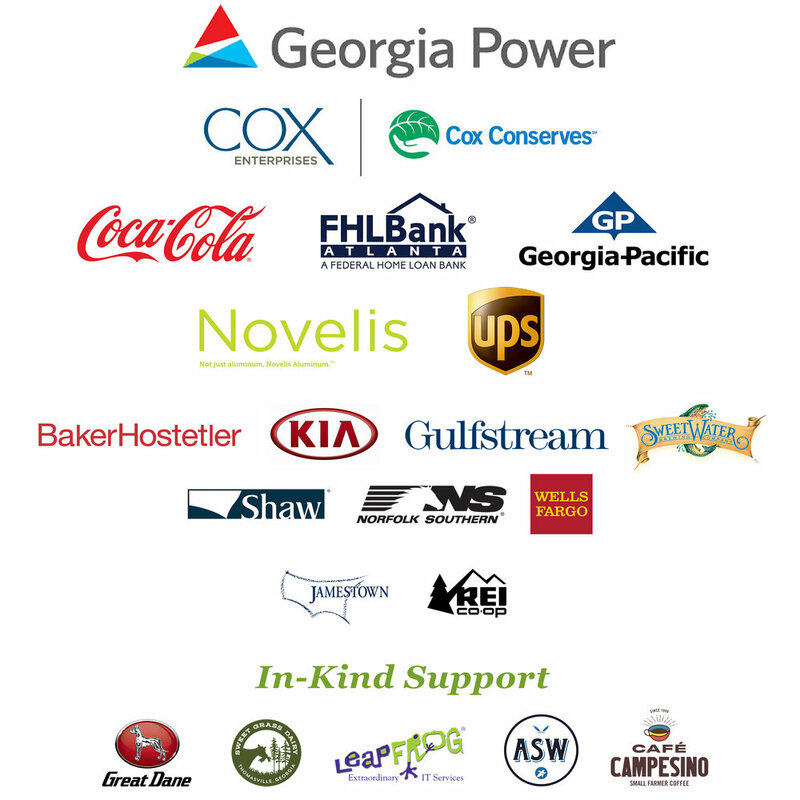 A huge thank you to our Natural Partners, Oyster Roast Sponsors and Host Committee (listed below), as well as our many dedicated event volunteers -- without your support there would be no Oyster Roast! Learn more about our Oyster Roast hosts, partners and special guests! Live Oaks, saltwater marsh and historic buildings - Savannah's Grove Point makes the perfect backdrop for celebrating Georgia's Coast. 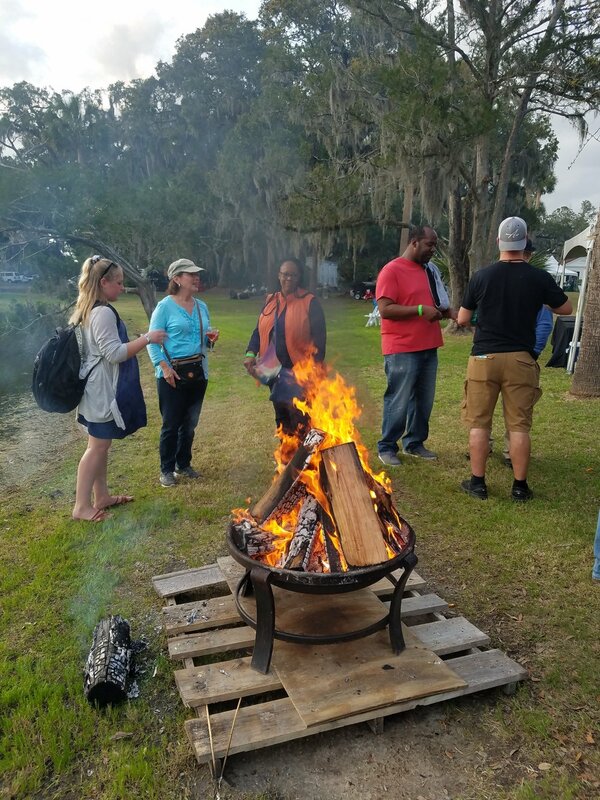 Graciously donated by Great Dane Trailers, the Oyster Roast was a rare opportunity for guests to enjoy this historic property overlooking the Little Ogeechee. Thanks Great Dane! Hands down, Charlie Phillips and Sapelo Sea Farms harvest some of the best clams and oysters we've ever enjoyed. 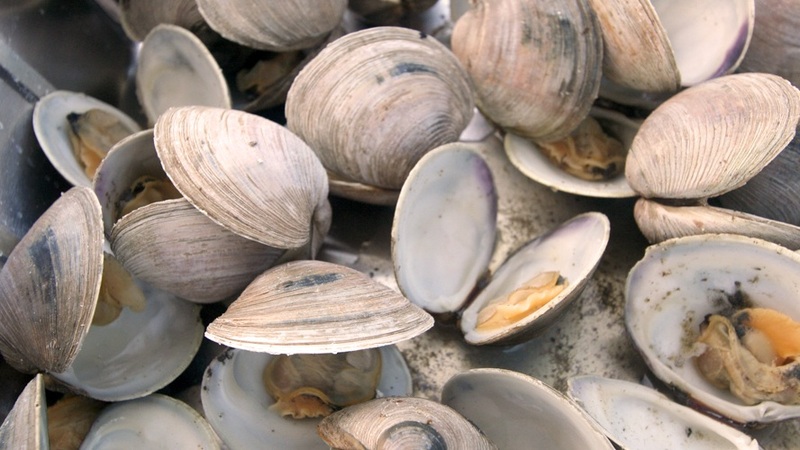 Straight from Charlie's dock in Crescent, Georgia on Pelican Point, these bivalves could have landed in some of the finest restaurants on the East Coast - instead, they found your table at our 2019 Oyster Roast! They do it all. Tables, gloves, knives, and steamers. 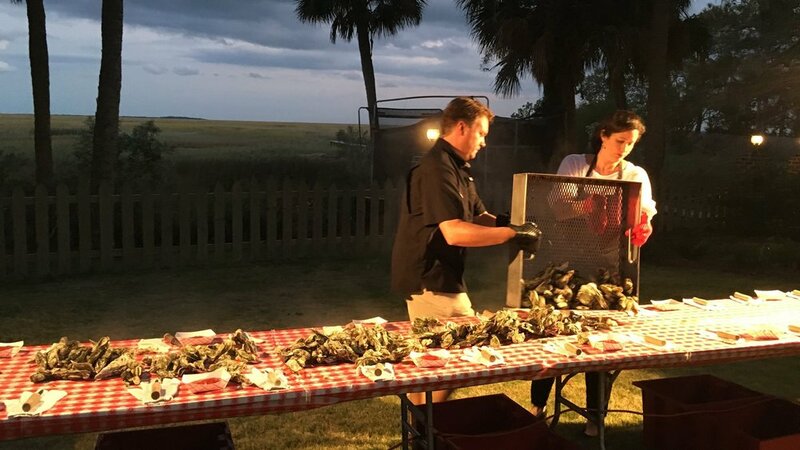 Erica Russo Davis and her team bring their low-country culinary skills to our annual Oyster Roast every year! 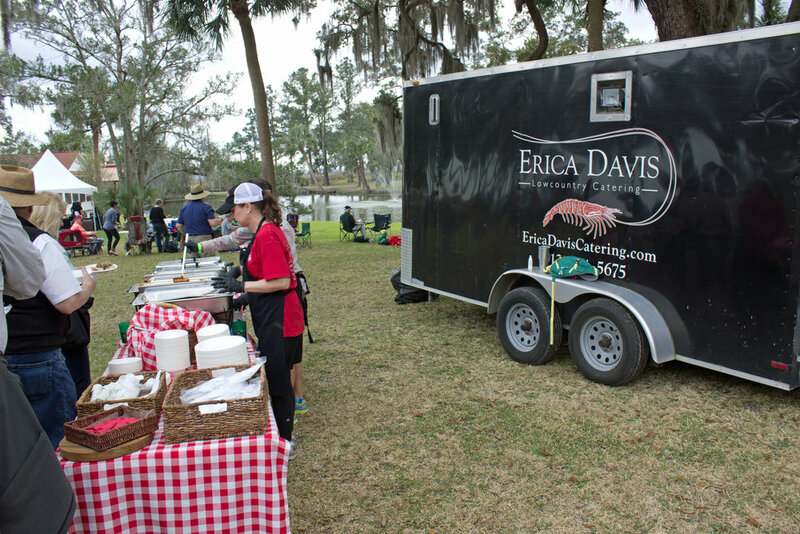 For fifteen years, Erica Russo Davis has been working to deliver the freshest tasting Low Country Boils and Oyster Roasts to people all over the southeast. The beer of choice for the Georgia Conservancy. Served proudly on our trips and events, all-you-can-enjoy SweetWater beer was flowing at the Oyster Roast. This year's Oyster Roast featured 420 Extra Pale Ale, G13 IPA, Peach Love & Happiness, Goin' Coastal IPA, and SweetWater Blue. Nothing washes down oysters, clams and BBQ like a cold, flavorful SweetWater brew! 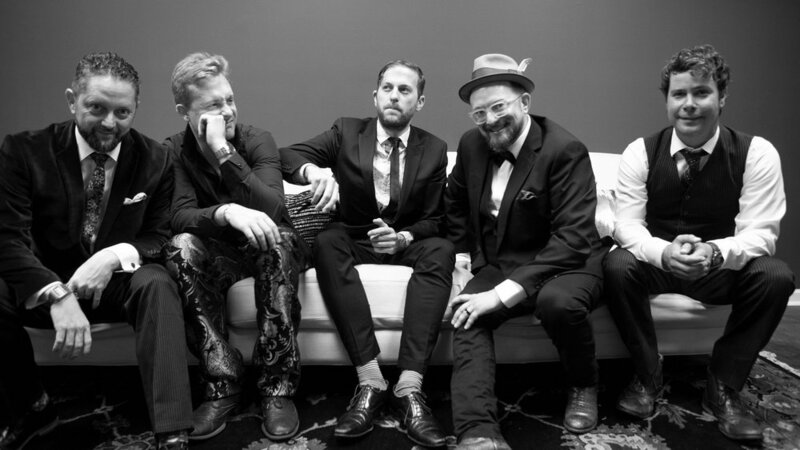 Rooted in the Gypsy Jazz/Gypsy Swing and Latin Swing styles, Velvet Caravan is a high-energy, acoustic-based quintet of guitar, violin, standup bass, percussion and keyboards (including accordion) has emerged as one of the shining lights of Savannah’s burgeoning music scene. Oysters have a long history with the people of Georgia's coast - and they potentially have a very promising future. 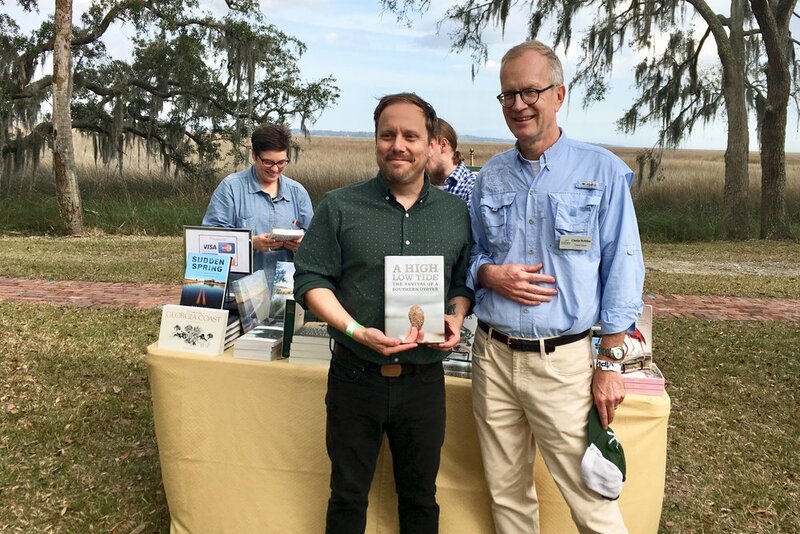 Thank you to André Gallant, author of "A High Low Tide: The Revival of A Southern Oyster" (published by University of Georgia Press), for sharing his work, knowledge and perspective at this year's Oyster Roast. Thank you to John “Crawfish” Crawford, lead naturalist at the UGA Marine Extension and Georgia Sea Grant, for joining us this year at the Oyster Roast. Crawfish brough with him live specimens and educational displays that highlight the incredible biodiversity of the Georgia coast. He’s served as a marine educator at the UGA Marine Education Center and Aquarium for more than 30 years. Thank you to UGA Marine Extension & Sea Grant and Director Mark Risse for joining us at this year's Oyster Roast. In addition to sharing with guests the important work they do, they also recycled all the Oyster shells from the event! 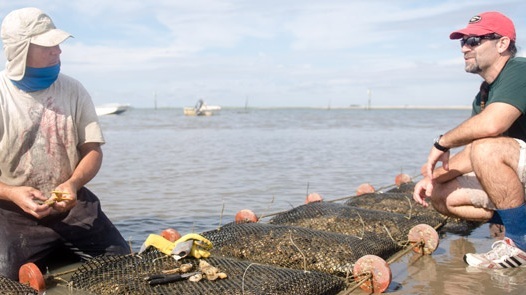 Their team coordinates a community-based oyster restoration project called G.E.O.R.G.I.A. where recycled oyster shell are used to create new oyster reefs. Protecting our coast has been a priority of the Georgia Conservancy for 50 years. From the St. Marys River and Cumberland Island to the Port of Savannah and the beaches of Tybee, the Georgia Conservancy prides itself on being an advocate for and steward of our salt marsh, estuaries, maritime forests and towering dunes. We maintain an office in historic downtown Savannah, headed by Coastal Director Charles McMillan, and are working on a range of projects to protect this precious natural resource. The Oyster Roast is annual celebration of this important work and recognition of the incredible resources found along our more than 100 miles of sacred coastline.